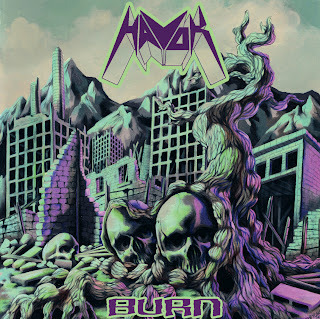 From Denver, Havok are among the clutch of bands leading the thrash revival. Their debut Burn sounds like early Metallica with more polish but fewer spectacular solos. With a rich complement of eleven full tracks plus a short instrumental intro, the album is notable for consistency in the quality of compositions. None of the songs are throwaways waiting for a solo, and there is never any shortage of aggressive energy. The songs have interesting, unpredictable structures riding solid melodies, and are delivered with admirable precision. The guitar work of band leader David Sanchez and shredding partner Shawn Chavez is commendable, the two successfully melding the frenzied strumming of traditional thrash with occasional shadings of more mature melodic death metal lyricism. Sanchez's vocals are modelled on a young James Hetfield with a dash more choleric pepper. Metallica may be Havok's key inspiration, but the controlled anarchy of Anthrax also makes its presence felt, particularly on selections like The Disease and most conspicuously Category Of The Dead, where Anthrax vocals finally meet Slayer's here-comes-hell tone. The album does suffer from some notable patches that lack inspiration. Tracks like Path To Nowhere, Identity Theft and The Disease tick-off all the thrash boxes with admirable professionalism, but can claim little in the way of progress or innovation. Highlights include the opening of The Root Of All Evil, a majestically domineering 90 seconds of reinvigorated thrash. Morbid Symmetry is perhaps the most complete track on the album, Havok demonstrating an early penchant for fluid complexity at high velocity. To Hell is a bit less interesting, but makes up for it with insanely well-channelled power. The opening burst of Scabs Of Trust is also quite brilliant, but the rest of the track cannot live up to the initial promise. The album ends on quite the high, Afterburner boasting a scintillating intro, extraordinary speed, a quite brilliant staccato riff, the tone of At The Gates crashing the thrash party and heartily joining the festivities. 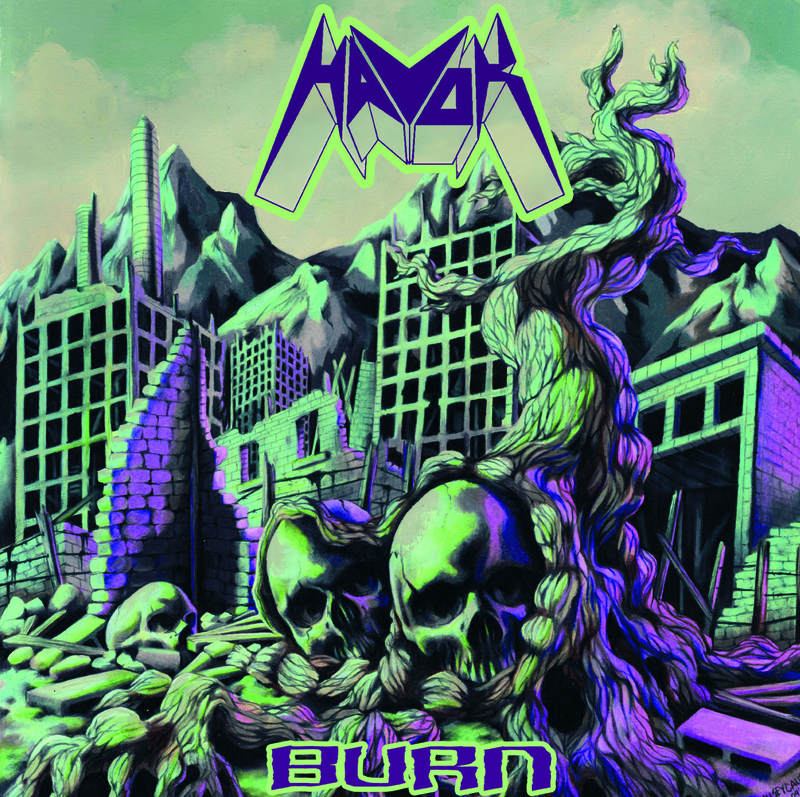 Burn's flame may sometimes flicker, but Havok's debut offers enough to leave several impressive scorch marks. Mixed by Bart McCrorey. Engineered by David Sanchez and Bart McCrorey.